Plot: The sequel to "The Godfather," we are taken back to the begining of the Corleone family, and how it all began back in the early 1900's. Michael Corleone: "If you don't listen to me and marry this man, you'll disappoint me". The godfather: part 2 is one of the best squeal's ever made to cinema. The acting is outstanding and the characters feel like real people and not movie characters. Although it doesn't have quite the iconic imagery and nature of the first film, the Godfather: Part II is a richer, more full tale that dives more into the tragic and revenge-filled backstory behind the Corleone family. The acting is fantastic as the franchise adds the inimitable talents of Robert De Niro, and the production design and atmosphere is as deep and involving as ever. The film doesn't have the guttural punch of the first film's moments of brutality, but it does benefit from a longer and more in depth approach to the crime family. 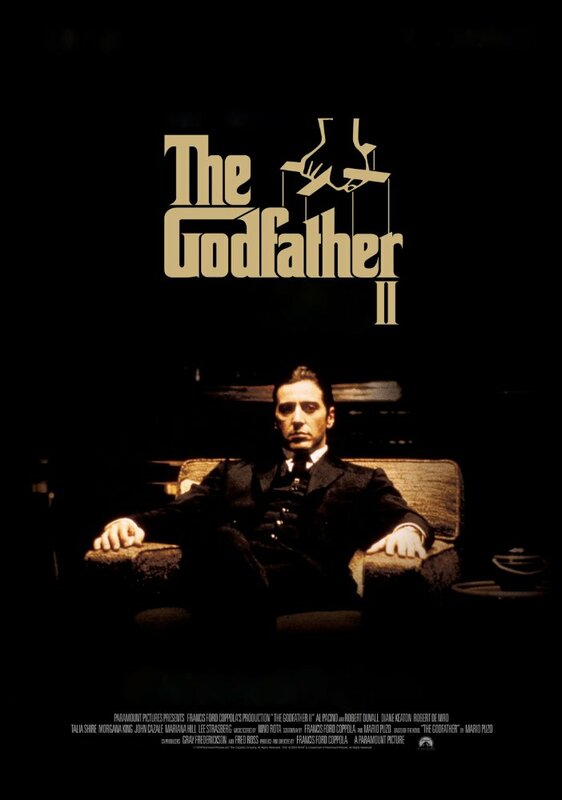 The Godfather Part II (1974) is a fantastic sequel and prequel to the original movie. Michael Corleone is the Godfather in this movie, but someone is trying to kill him. He also is given the option of investing in Cuba, but bad things are happening there. And the relationship between him and Kay Adams is getting on the rocks, and they separate (I enjoyed the separation because Michael was so mean and hotheaded to her). Meanwhile, the prequel part shows you how Vito Corleone (now portrayed by Roberto De Niro! Awesome!) became the original Godfather. His family is killed, he escapes from the killers, and goes to the United States. He becomes a robber with his friend after he is replaced from his first job working in a restaurant. Their is this other criminal who Vito kills. Meanwhile, the prequel part shows you how Vito Corleone (now portrayed by Roberto De Niro! Awesome!) became the original Godfather. His family is killed, he escapes from the killers, and goes to the United States. He becomes a robber with his friend after he is replaced from his first job working in a restaurant. There is this other criminal who Vito kills. No posts have been made on this movie yet. Be the first to start talking about The Godfather: Part II!